Jon Crean, Commercial Director at VIP-Polymers Ltd, manufacturers of VIPSeal® flexible couplings and adaptors, discusses the applications for flexible couplings and the questions merchants should be asking customers in the September 2018 issue of Builders Merchant News Magazine. Specifying the correct coupling is a relatively straight forward process and while size does matter with regards to selecting the correct size coupling, it is one of a number of questions merchants should be asking their customers. Understanding the application of where it will be used is the most important piece of information when selecting the correct coupling for the customer’s needs. The location of the pipe joint will determine which product category the coupling is selected from. Regulations vary depending on whether the work takes place inside or outside of the building curtilage or is in a non-adopted drainage scheme. Work which takes place outside of the building curtilage and is located within an adopted area, i.e pipe system will be adopted by a Water Company requires the use of products certified to WIS 4-41-01. This dictates that a standard coupling must be used as they have a shear band, which can withstand higher pressures, protect against shear loads / deflection and is also suitable for shear and deflection situations under a negative pressure or vacuum. E.g pumped system. As couplings with shear bands are required for adoptable schemes, a bush is required alongside a standard coupling when joining pipes with a large difference in diameter. For applications within the building curtilage that do not require resistance against shear loads, drain couplings and adaptor couplings provide a more cost effective solution. 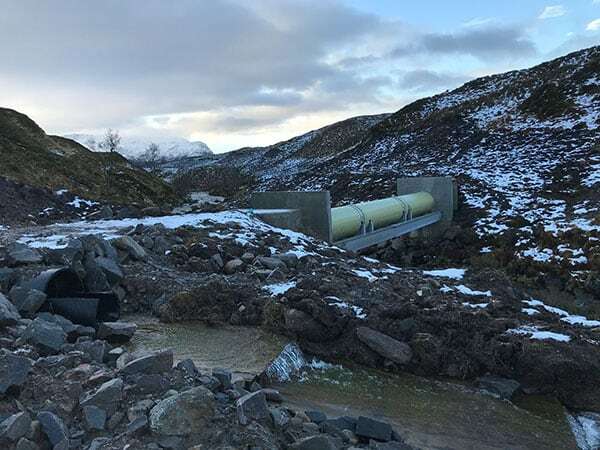 The medium that will be transported through the pipe and the operating temperatures are important questions as they determine which material should be selected for the coupling in order to maximise the life of the connection. Different rubber materials have different levels of resistance to chemicals and temperatures. It is important to ask the constant working temperature (CWT) as while most rubbers have stated working temperature ranges, the upper and lower limits usually refer to intermittent exposure. Long exposure to these temperatures can severely reduce the service life of the seal. A fundamental property of a gasket is what is at risk when the correct material isn’t selected for the correct application. For any seal to work it must be energised (in the case of VIPSeal®, tension bands are tightened). The industry standard BS EN681-1 stipulates the compression set and stress relaxation of a seal. VIP was the first in the industry to obtain this in 1987 and have decade’s worth of data to support the effectiveness of our materials to retain their sealing force over-time. A seal with good compression set will recover to almost its original shape when the load is removed. 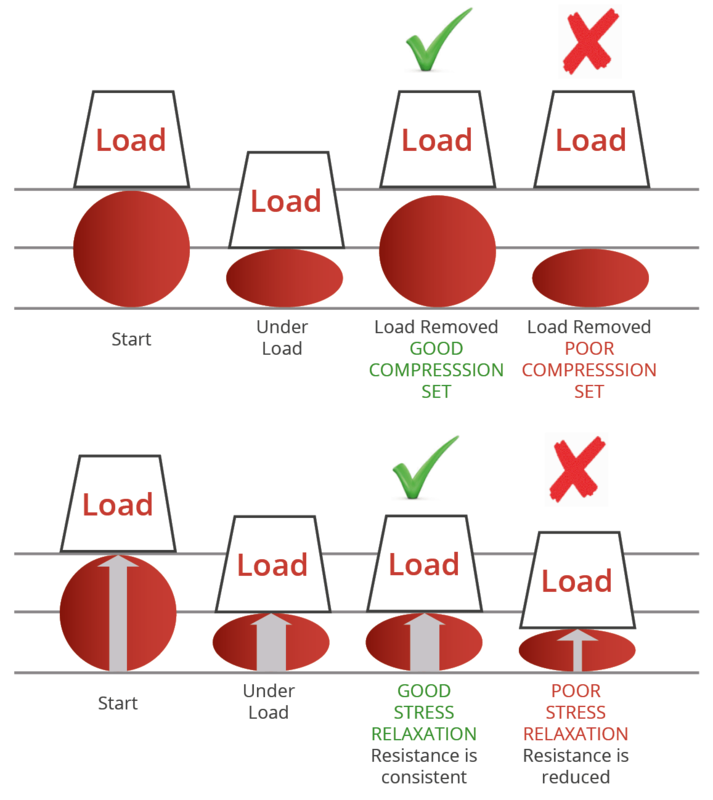 When under load, the seal must retain the energy that is built up within it. Seals with good stress relaxation will retain this energy. In the majority of drainage applications, foul water and sewerage will commonly travel through a drainage pipe and extreme temperatures will not be experienced. 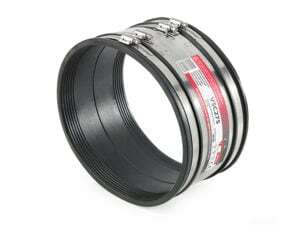 VIPSeal® flexible couplings are manufactured from high grade, sulphur cured EPDM rubber as standard. Sulphur cured EPDM has a resistance to a relatively high range of chemicals (typically found in drainage systems) and has a service range at constant temperatures between -10°C and 60°C. However in industrial applications where aggressive chemicals or extreme temperatures will be experienced, the correct material needs to be selected. VIPSeal’s latest addition VIPSealChem is manufactured from FKM rubber which is resistant to a wide range of chemicals and extreme temperatures (-15°C to 200°C). For applications exposed to mineral oils, fats and greases, Nitrile rubber (NBR) becomes the preferred choice. Where temperatures rise above 60°C but the application does not require the chemical resistance of FKM, a peroxide curing stage can be applied to EPDM (CWT to 125°C) and Nitrile (CWT to 100°C) couplings, providing a more cost effective solution. It’s not only the rubber sleeve that can be made from different materials to suite different applications. Tension and shear bands are manufactured from 1.4301 (304) grade stainless steel which provides optimum resistance in most soil conditions. For higher corrosion, contaminated ground areas, or marine environments, grade 1.4401 (316) stainless steel should be specified. 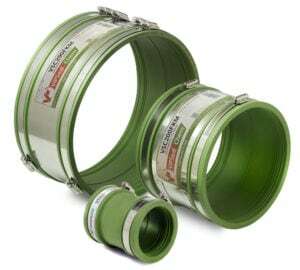 Some flexible couplings are available in flexible PVC for plumbing applications. While they can provide a low cost solution, they do not have the same compressions set and stress relaxation properties or temperature resistance (max 38°C CWT) as rubber. Therefore they should only be used for internal, above ground applications where there is access to tighten the tension bands periodically over time. 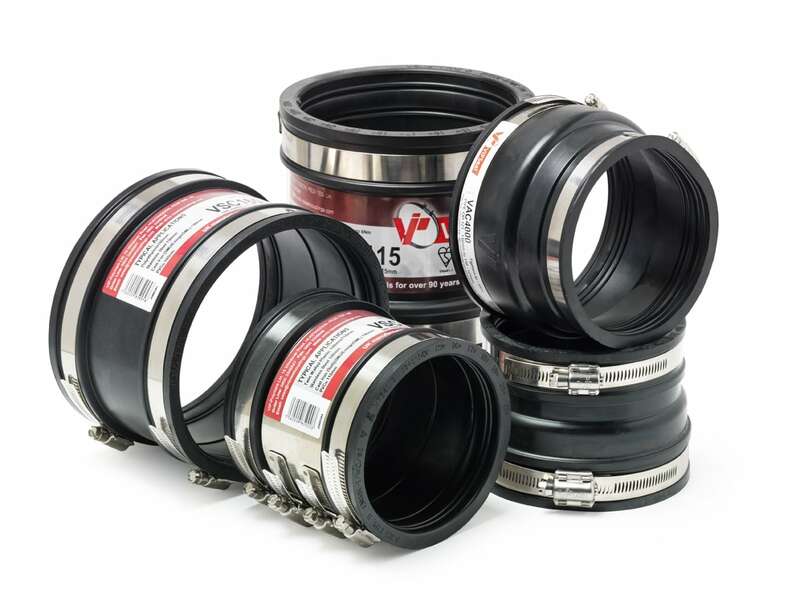 The standard VIPSeal® range will be suitable for most residential drainage applications, however if merchants are aware of the factors that affect material selection, they will be better placed to advise customers on the products that are most suitable for the application, ensuring a leak free joint that will exceed the service life of the pipe. 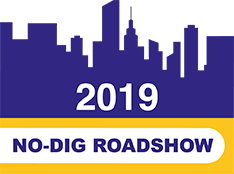 The team at VIP are always on hand to provide advice on the best material for the application and can also provide training either at their Huntingdon HQ or in branch with merchants, giving them the confidence to deal with any drainage enquiry. So while size is important when selecting the correct flexible coupling, it’s what you’re doing with it that matters.